Now you can create your own fire pit with any of these DIY fire pit kits and accessories. 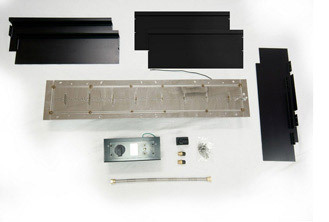 DIY-38 Gas Fire Pit Burner Kit. 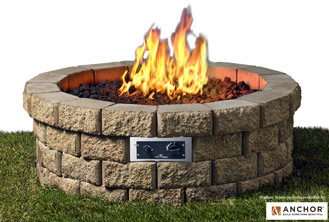 Used to create a round fire pit ranging from 32-37″ in diameter. Ranging in size from 37-47.75 Long X 13.5-18.5 Wide. Ranging from 20-30.75″ long X 13.5-18.5″ wide. 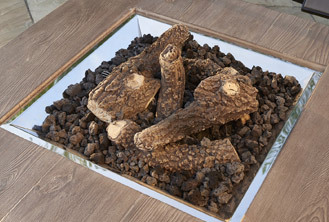 These handcrafted, tempered diamond glass add beauty to any fire pit table or electric fireplace. Available in clear or black you can enhance the beauty of your product with the crystal fire diamonds. These handcrafted, tempered diamond glass add beauty to any fire pit table or electric fireplace. 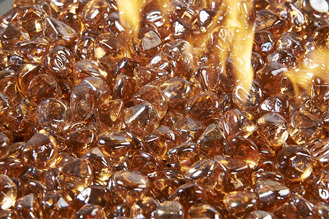 Available in clear, copper, or black you can enhance the beauty of your product with the crystal fire diamonds. 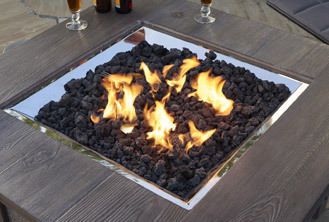 Our U/L Listed rectangle burner is a great option for a custom fire pit table. 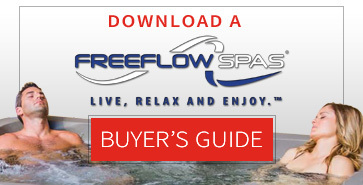 This 12″ x 42″ burner creates a beautiful linear flame. Adjust the flame height to your desired setting and enjoy the magic and ambiance of a warm glowing fire today. 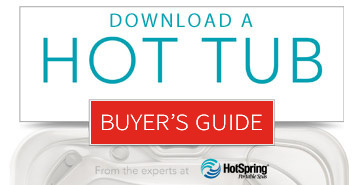 Burners can also be purchased separately for custom projects. 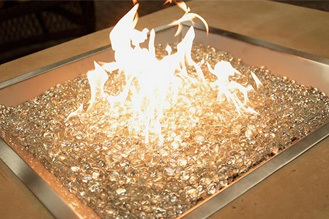 With just the push of a button, a beautiful clean-burning fire appears atop a bed of glass fire gems. Easy to assemble and set up in your own backyard. The Hudson Stone™ units are durable and will last for years to come. 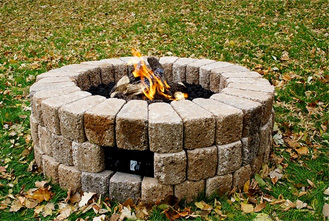 Take the guesswork out of DIY with this gas fire pit. Assembly required- comes unassembled on pallet. Can be used to build your own custom fire pit. 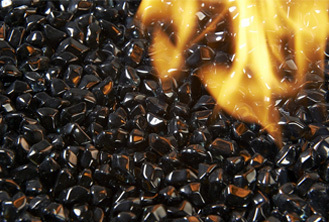 This beautiful, glowing fire appears atop a bed of tempered, tumbled glass. Adjust the flame height to your desired setting and enjoy your warm fire for up to 16 full hours using a standard 20 lb. LP tank. Or hook it up to an LP or natural gas line. Enjoy the magic and ambience of a warm, glowing fire today. 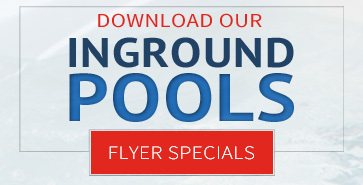 Note: to customize your own fire pit table, create an outer ring between 19-3/4″ and 20-14″ diameter. 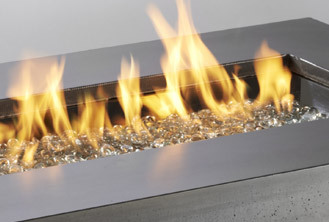 A 12″ x 24″ Rectangular Stainless Steel Burner that includes the Diamond Glass Crystal Gems. 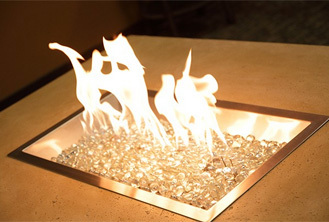 A great new burner available in several of The Outdoor GreatRoom’s Fire Pit Tables. The CF-1224 is also great for those who want to build their own fire pit table. Our Square Crystal Fire Burners is made from high quality stainless steel and include tempered, tumbled glass and ignition controls. 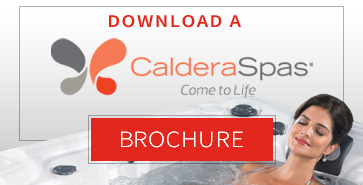 All burners are UL approved for safety and quality. 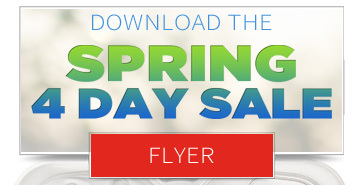 They work with our line of fire pit tables or can be used in a custom-built fire pits. 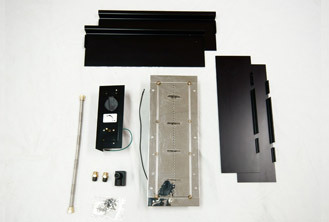 CT-Control Panel is an accessory item used on Outdoor GreatRoom fire pit tables. 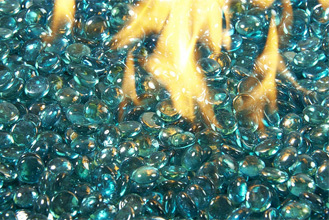 Glass fire gems are a perfect accent for any fire pit table or fireplace. As the tempered glass burns, the glass appears to have liquid inside. 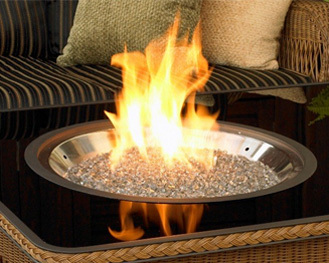 The crystal fire gems are a perfect way to customize your fire pit table. Colors are: Aqua Marine, Amber, Clear Diamond, Onyx, Ruby. 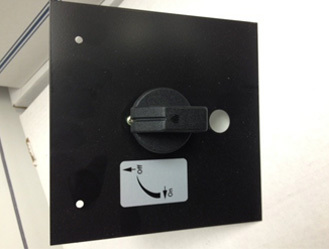 Optional Log Set for Crystal Fire burners in Fire Pits- burner sizes CF1224, CF2424, and CF20. Relax and and stay warm with your DIY fire pit today! Let us help you choose a DIY fire pit.